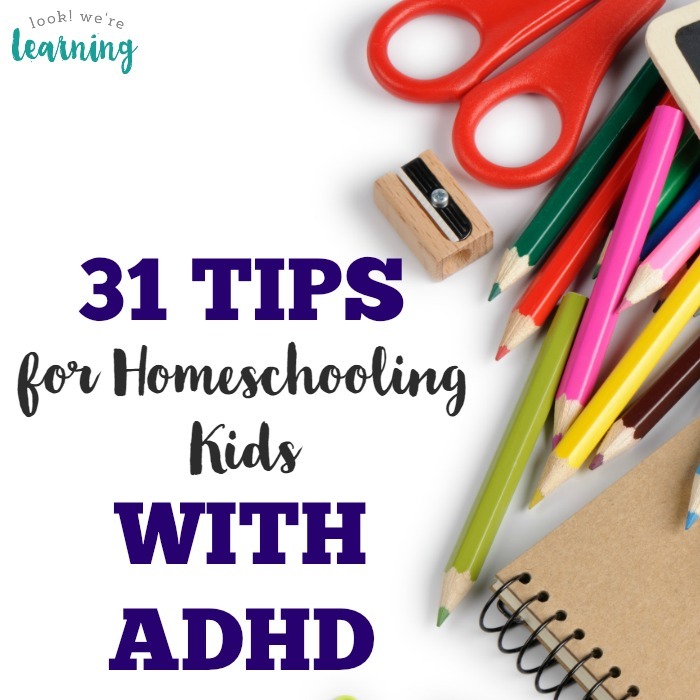 31 Tips for Homeschooling Kids with ADHD - Look! We're Learning! Homeschooling kids with ADHD presents its own unique set of challenges. And it can be pretty lonely, especially for the parents who are trying to balance homeschooling with parenting kids with special needs. 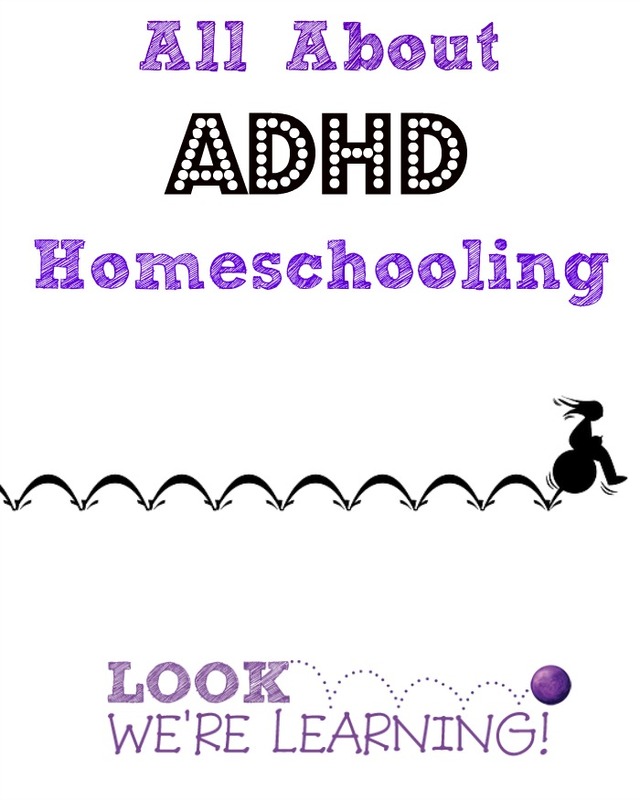 Need help choosing a good ADHD homeschool curriculum? What about helping your kids with ADHD sleep well at night? How can you set up a daily routine that your kids with ADHD can follow without frustration? And what if you are living with ADHD as well? Our 31 Days of ADHD Homeschooling series covers these and many other possible challenges to help make your homeschooling journey a happy one! 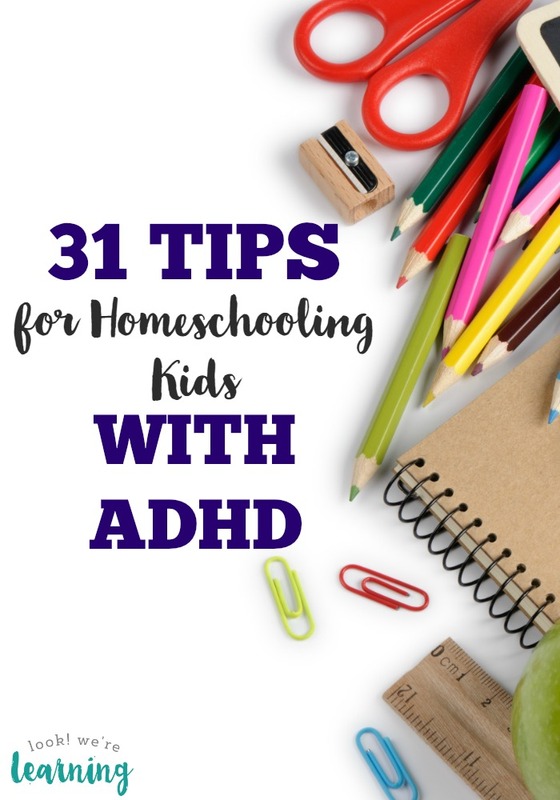 Try these 31 tips for homeschooling kids with ADHD this month! Day 1: Should You Homeschool Your Child with ADHD? Need more support? Don’t miss our entire collection of posts about ADHD Homeschooling! And see more tips and advice on my ADHD Tips Pinterest board! Need more support? 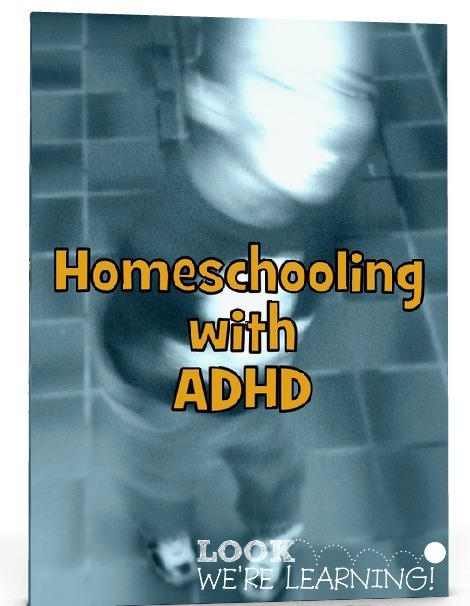 Check out my book “Homeschooling with ADHD” – available in our Store!